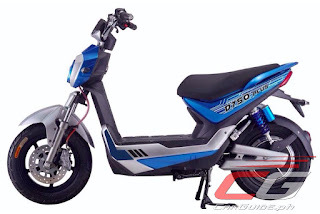 Japan-based Terra Motors is ready to introduce its latest e-bike model, the D750 at the 1st ASEAN EV and Hybrid Vehicles Summit. A model 100 percent unique to Terra Motors, the D750 is the product of one and a half years of research and development. With the launch of the D750, Terra Motors is shifting to “Casual Eco Mobility” where ebikes are now viewed as means of everyday transportation. And with its launch, they believe they can grow their market share in the ASEAN region, particularly in Vietnam and the Philippines. In Vietnam alone, Terra Motor’s second biggest market, they believe they can get a substantial chunk of the 400,000-annual ebike sales there. Terra Motors has already confirmed that a shipment of 150 pre-ordered units will arrive soon coinciding with its market launch in the Philippines.